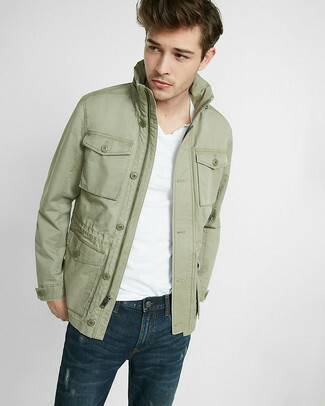 If you prefer a more relaxed approach to dressing up, why not wear an olive field jacket with 7 For All Mankind standard straight leg jeans? 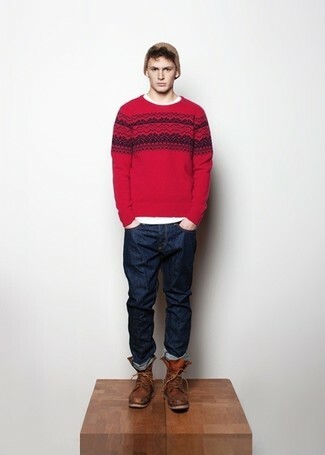 If you're in search of a casual yet seriously stylish look, wear a red fair isle crew-neck sweater with navy jeans. Both items are totally comfortable and will look great together. You could perhaps get a little creative when it comes to footwear and dress up your outfit with brown leather casual boots. 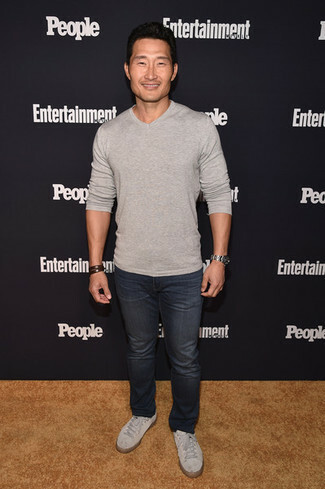 If you're looking for a casual yet sharp ensemble, dress in a grey v-neck sweater and 7 For All Mankind standard straight leg jeans. Both garments are totally comfortable and will look great together. When it comes to footwear, this look pairs nicely with grey suede low top sneakers. If you're on a mission for a casual yet sharp getup, pair a brown check blazer with 7 For All Mankind standard straight leg jeans. Both garments are totally comfortable and will look great together. 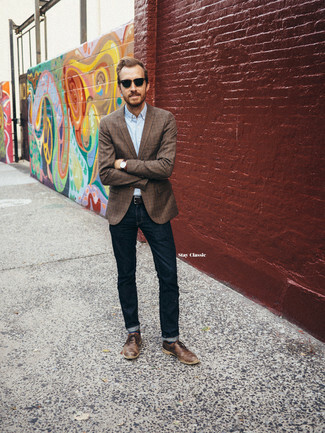 Rocking a pair of brown leather brogues is an easy way to add some flair to your outfit. If you're on the hunt for a casual yet seriously stylish look, dress in a black varsity jacket and 7 For All Mankind standard straight leg jeans. Both garments are totally comfortable and will look great together. Round off your look with black suede low top sneakers. 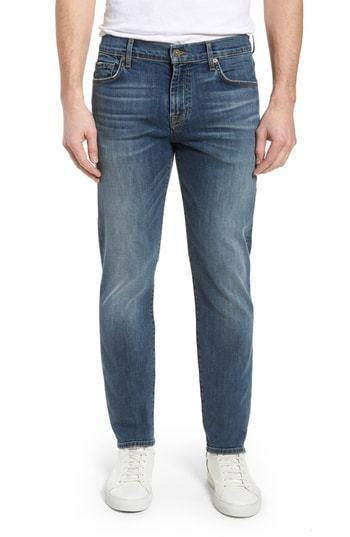 If you don't like spending too much time on your outfits, make a navy v-neck sweater and 7 For All Mankind standard straight leg jeans from Nordstrom your outfit choice. Black leather chelsea boots will add a touch of polish to an otherwise low-key look. 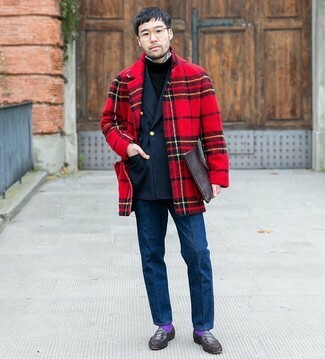 For a smart casual outfit, consider teaming a red plaid overcoat with 7 For All Mankind standard straight leg jeans — these items work beautifully together. When it comes to footwear, this getup is finished off wonderfully with dark brown leather loafers. 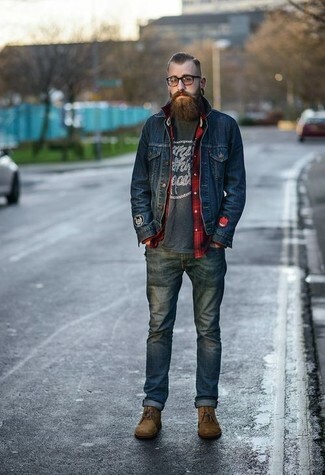 If you're after a casual yet seriously stylish look, wear a navy denim jacket and 7 For All Mankind standard straight leg jeans. Both items are totally comfortable and will look great together. 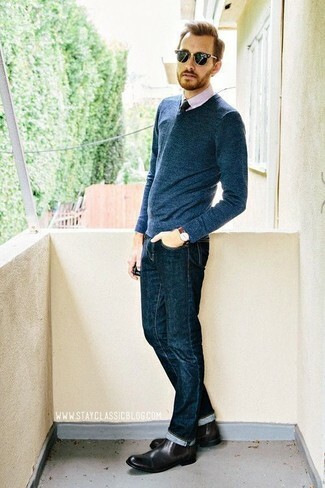 When it comes to shoes, this ensemble is complemented wonderfully with brown suede desert boots. So as you can see, it doesn't take that much effort for a man to look stylish. 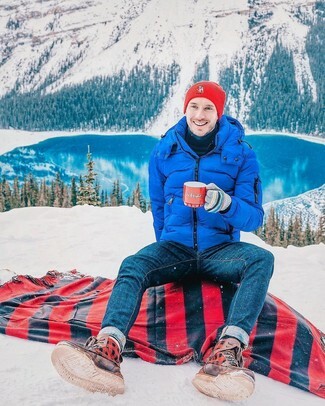 Just consider pairing a blue puffer jacket with 7 For All Mankind navy jeans and be sure you'll look incredibly stylish. The whole ensemble comes together perfectly when you add a pair of brown leather casual boots to this ensemble.